Are We Only United Through Tragedy? It's hard to believe that I haven't posted in over a year. I have so many thoughts, so many words, so many things that I want to write about. Work gets busy. Life happens. Time slips away. Today I need to write. The words need to come spilling out. Today has been a day of reflection, in several ways. The 17th anniversary of the attacks. Has it really been that long? It doesn't seem possible. It seems like it just happened yesterday. Everything is so vivid, so fresh. I've been in Charleston South Carolina for the past few days, travelling on business. Going out to dinner last night, we drove a street lined with American flags, flapping proudly in the wind. They looked beautiful! So proud! So majestic! My thoughts turn to those who lost their lives, especially the first responders. I think about those brave souls on Flight 93. They sacrificed their lives to save so many more. I think about the families, those who lost someone so special. Someone they loved with every bit of their heart. A hole that won't heal. A pain that will never subside. A scar left forever. I think about those who are still here, dying a slow and painful death because they were there, working at the pile, day after day. I think of how our country came together. Everyone was kind. Everyone was thoughtful. We had each other's backs. We were one huge family. We truly were united. There was no yelling. No name-calling. No arguing. We unabashedly loved our country and we supported our president, no matter our party. It's so opposite of how things are now. I had to leave Charleston a little early. This morning's presentation was cancelled. My hotel was closing at noon. Yes, a hotel was closing. The city is under order to evacuate. Hurricane Florence is on her way. She is big. Devastatingly big. And she is gaining strength by the hour. It was strange driving on I-26. The east-bound lanes, the ones heading to the coast, were closed. It was odd. There was no traffic coming towards me, save the occasional police car. I saw local police vehicles from various cities and towns, county police, state troopers and fire departments. They were positioned sporadically in the medians and at all entrance ramps on the east-bound side. No one is heading east. Police cars blocked the ramps leading to I-95. How many miles of that interstate are closed? At noon, all the east-bound lanes will have west-bound traffic. It's the Hurricane Evacuation Route. You've seen the blue signs with the hurricane symbol. Suddenly, they're so real. All highways, all interstates will lead traffic away from our eastern coast. It was very thought-provoking, seeing all of these first responders in a place of impending disaster. 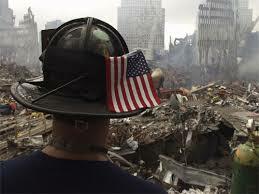 Of all days to see so many, so many of those who dedicate their lives to protect others, to see them on September 11th. As I neared Atlanta I saw a convoy of power trucks headed east. I don't know where they were from. Probably some place far away. They are getting ready for the clean-up. Getting ready to help those in need. Once again, Americans will come together to help each other. People won't be yelling at each other, telling one another how "wrong" they are. People won't be judging or hating each other. They will be helping each other. In the aftermath of disaster and tragedy, no one will see color, social status or religion. There will only be neighbors helping neighbors. That's my America. I wish it could be like this all the time, but without the disaster, the tragedy or the tears. If there's one silver lining that I can find in the Falcons Super Bowl loss, it's that two Patriot players played at my alma mater, the University of Georgia. Center David Andrews and wide receiver Malcolm Mitchell are Dawgs. I said I wanted both players to have a good game, just not too good. They were both better than good. 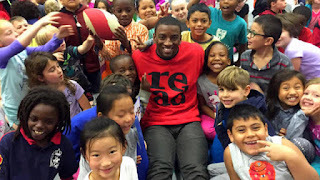 Malcolm Mitchell is one of my favorite, if not all-time favorite, Dawgs. He's what we call a DGD. A Damn Good Dawg. Malcolm had a stellar career in Athens. His one big mistake came during the first game of the 2013 season. He celebrated a Todd Gurley 75-yard touchdown run a little too hard and tore his ACL. He missed the rest of the season. During his rehab he joined a book club. The story garnered a good bit of attention when CBS ran a profile piece back in 2014. It was a great story. A superstar collegiate athlete who read at a junior high level joined a book club filled with suburban housewives. It was a feel good story about a gifted player who wanted to better himself. And then the feel good story got even better. Malcolm has taken his love of reading to a whole new level. He authored a children's book, The Magician's Hat and started a children's literacy foundation, Read With Malcolm. Here's Steve Hartman's updated piece that aired Super Bowl Sunday. Malcolm Michell is now a Super Bowl champion. But really, he's been a winner all along. The Atlanta Falcons are a team of destiny. All the pieces are falling into place. The team is hungry. The team is confident. Most importantly, the team is ready. The city of Atlanta is ready. Atlanta and the Falcons have waited 51 years for this moment. The Falcons came close once before. It's wasn't their time. Destiny was on the side of John Elway and the Broncos. Today, destiny is with the Falcons. The national focus is leaning Patriots. A glamorous team with multiple Super Bowl appearances. Marquee players in a big market. Ok, I get it. Keep underestimating the Falcons. They've flown under the radar, out of the national spotlight for most of the season. Really, for most of their existence. Tonight, all of that will change. Matt Ryan. MVP and Offensive Player of the Year. He's a smart, smart guy who's a student of the game. He keeps his head down and plays hard. He sets the example. No flashiness. Just hard work. Hard work that has paid off ten fold this season. No one in Atlanta is surprised. Matt Ryan and Julio Jones may be the most well-know names on the team. All that will change tonight. Just wait. This is the year of the underdog. Think about it. The Cleveland Cavaliers won the NBA Championship. The Chicago Cubs won the World Series. The Clemson Tigers beat the almighty Bama. And Donald Trump won the White House. Get ready America. It's time for the rest of y'all to Rise Up! I seriously can't believe that it's been over a year since I've written anything for what is probably my shrinking, if not now, non-existent following. It's not that I haven't had the thoughts and the words in me. Honestly, they've been screaming to burst out. There are so many things that I wanted to write about but I simply didn't have the time. Life. It's not always easy. But something has me FIRED UP! I read an article that totally pissed me off. I always try to be polite and lady-like but today that's not happening. That stupid Boston Globe article made me so #$%&@* mad! And y'all, I've even given myself time to simmer down. As it turns out, I didn't simmer down. Time only let the wound fester. Dan Shaughnessy's article, "It's hard to get pumped up about a Super Bowl against...Atlanta" is insulting to every Atlanta resident, sports fan or not. He said there's no reason to insult the '"nice folks of Atlanta" yet that is exactly what he went on to do. In fact, he said that the fine people of Bahstan feel nothing but pity for us. Whatever Dan. He wrote of our apathy. Our lack of championships. He pulled random stories out of the air in order to prove his weak point. What a tool. I am so sick and tired of sportscasters, journalists and residents of other cities ragging on Atlanta sports fans. We LOVE our teams and WE ARE GREAT FANS!! Did any of those people see the passion of Falcons fans during both playoff games? Let's face it, for most of the country it's more than likely that the playoffs were the first time they've even had the opportunity to see the Atlanta Falcons play, save that one Monday night game. Julio who? Wha...Matt Ryan is up for MVP? Vic Beasley, Devonta Freeman, Deion Jones? Who are they? When did this Rise Up thing start? It's no secret that baseball and the Braves are my first love. The Dawgs are a close number two. The Falcons have always been a steady number three. I mean no disrespect. 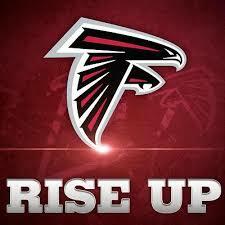 As much as I love the Atlanta Falcons, they have always broken my heart. I've always considered them a snake-bit franchise. Just when they've been on the cusp of having everything, something bizarre happens. Eugene Robinson's arrest on the eve of Super Bowl XXXIII. The NFL's most dynamic player goes to prison for his role in a dog-fighting ring. Head coach Jim Mora Jr. literally moves out of town in the middle of the night. It took the team over four decades to put together back-to-back winning seasons. But through thick and thin, Falcons fans have stayed loyal and passionate. You want to see a passionate Atlanta crowd at it's finest? Come to Atlanta when the Saints are visiting. You'll never doubt our passion again. Arthur Blank has poured his heart and soul (as well as his wallet) into this franchise. He, Rich McKay, Thomas Dimitroff and Dan Quinn have put together a great team, a team with amazing chemistry. A brotherhood. They've created an energy that explodes on the field. They given the Falcons faithful the team they so richly deserve. Every time an Atlanta team makes it to the post-season, Atlanta fans are judged. It's never a positive review. We are tired of it. It all boils down to one thing. Passion. Mr. Shaughnessy is passionate about his team, as he should be. Falcons fans are just as passionate, if not more. We are hungry. Our team is honorable. They have never been accused of cheating or spying. Yes, the Falcons have had a player go to prison. At least it wasn't for murder. Ok, I'll stop. I seem to have headed down the low road, the road of Mr. Shaughnessy, and I don't care for it. My hope for Sunday night is to see Matt Ryan hoist the Lombardi trophy over his head while red and black confetti swirls around him. He'll pass the trophy to Julio Jones and soon every Falcon will have held and kissed the NFL's holy grail. We'll see Dan Quinn wipe away a tear and we'll see Arthur Blank dance one more time. What a vision that will be! I believe that will happen. It's destiny. 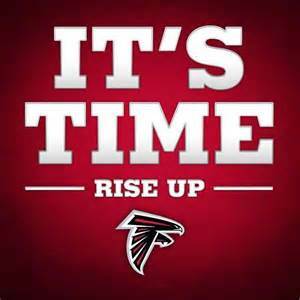 The time has come for the Atlanta Falcons. Here's a great read on Eugene Robinson and where is now. They say you can't have a favorite Uga. It's akin to having a favorite Beatle. It's simply not done. But for me, Russ is, and always will be, my favorite Uga. Russ was special. Russ didn't fit the mold. He didn't meet the criteria. He didn't have what was required to be Uga. He wasn't perfect. But that didn't seem to bother him. Russ was always ready to step in when needed. He worked hard. He did the job right. He represented the university to perfection. He did it with a smile on his jowly face and with a wag of his stubby tail. He roamed the sidelines. He woofed at the opposing team. He posed for photos. He cooled off on his bag of ice. He did it without the title, game after game, season after season. He subbed for Uga VII. He subbed for Uga VIII. Russ was the quintessential bridesmaid. You keep your head down, you do the job right and hopefully someone will take notice. Finally someone did. Whether it was the Seiler family or the university, someone put a ring on it and Russ became Uga IX. He was crowned. Or as they say in Athens, he was collared. In 63 games over seven seasons, Russ went 44-19. He officially retired at the last home game of this season. Russ passed away last night. He was 11. A ripe old age for an English Bulldog. As it turns out, the imperfect bulldog was the most perfect of all.